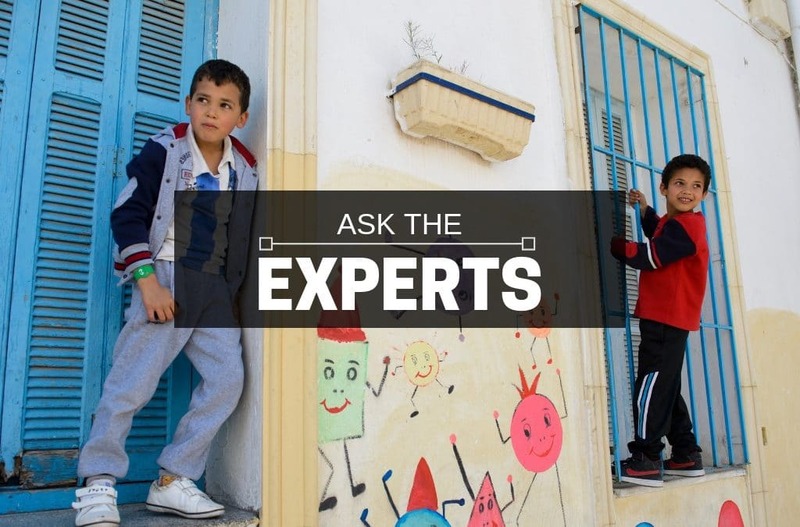 In the fourth post of our “Ask the Experts” blog series, Generations For Peace is joined by five of the world’s leading peacebuilding NGOs to answer a new question in honour of International Education Week and International Students’ Day. We understand the drivers of violent extremism such as alienation, marginalization, and human rights abuses. Less is known about what works to prevent violent extremism, and we need more research to prove impact of what works. Education has been used by those trying to recruit and those trying to prevent violent extremism. Some initial findings have shown that formal education by itself does not address the underlying drivers of violent extremism. However, when formal education is paired with informal education opportunities, including community and civic engagement training, peacebuilding programs have been able to show impact on preventing violent extremism. As our partner Mercy Corps has shown, education must be paired with opportunities that allow youth to be able to influence their lives so that they have the education and the skills to address the drivers of violent extremism. Many youth who don’t have opportunities to lead or safe spaces to express themselves lack not only a sense of belonging, but also hope for their future. I hear many stories around students either dropping out or finishing their education, but unfortunately, they eventually suffer from the high rates of unemployment and lack of income. The hopelessness that stems from this is often used to justify their use of smuggling, joining extremist groups, addiction, and illegal immigration to provide for themselves and their families. In GFP’s programme in Tunisia, which directly addresses PVE, the word “dignity” was often the most meaningful to emerge from such challenges as poverty and ignorance. Providing opportunities to build capacities through engaging extra-curricular activities, community mapping, assessing and tackling issues facing youth, taking lead in designing and implementing initiatives to voice their problems and contribute to positive change – these are exactly what help in reconnecting them with the community and strengthen their responsible citizenship, thus drawing them back from violent extremism and violent attitudes. Informal education is rooted in the belief that the only way to transform societies and transcend conflict, including preventing violent extremism, is to take them through a process of conscientisation: helping people understand their own identities and perceptions, who they are within the systems around them, how they interact with these different systems and how these systems impact their everyday life. In doing so, informal education helps communities to be more grounded in who they are – more resilient and profoundly aware of their agency and ability to transform their own societies. Informal education also nurtures safe spaces in which young people from varying backgrounds, ethnicities, religions, tribes, and races can learn more about themselves and then one another, understanding each other’s perspectives and accepting each other – not ignoring, but rather recognising and embracing the sometimes seemingly irreconcilable differences between one another and perceiving them as a point of strength rather than a cause of fear and protectionism. Generations For Peace Institute has worked for years to develop curricula that uses peacebuilding vehicles to create safe spaces in which participants from many backgrounds can uncover who they are and learn from each other. We’ve seen it through dialogue in Nigeria, sport in Pakistan, arts in the Republic of Macedonia, and in local contexts across 50 countries around the globe. It is the establishment of settings such as these that transforms conflict, builds peace, and prevents violent extremism. Empowering marginalized voices creates a broader and more resilient coalition working to prevent violent extremism, a particularly important component for effective PVE in conflict-affected or displaced communities. One participant in PartnersGlobal’s Enhanced Rural Resilience in Yemen project, Nusiaba, illustrates the impact of women’s empowerment in particular. Nusiaba attended mediation trainings that enhanced her capacity to identify threats to her community and validated the unique role that women can play in promoting peace. Her new skills were put to the test when an armed militia attempted to enter and recruit in her community. In response, she mobilized female community leaders to confront the armed group and de-escalate the situation. Following negotiations, the insurgents agreed to leave, and the female leaders succeeded in protecting local youth against recruitment and violence. Through these workshops, Nusiaba gained a needed skillset and confidence in her own ability to advocate for peace in her community. Both spurred her to take direct action when facing the armed group. Equipping a diverse array of citizens to better protect their communities, through both formal and informal education, creates additional advocates for peace that work together to strengthen efforts to prevent violent extremism. Community ownership, an aspect that plays a huge role in informal education, proves to impact the prevention of violent extremism positively. The reasoning behind it is that the formal education system, which is often decided by an elite, is shifted towards an informal educational system in which socially isolated and oppressed groups finally have the power to design curricula and interventions that truly adapt to their needs. The aim of the community-based approach of informal education projects, such as those supported by the Peace First Challenge, is to empower the inclusive participation of local communities as the designers, managers, planners, executors, and evaluators of the interventions happening in their own communities. In this sense, the ownership of informal education projects in the hands of the communities allows accessibility to geographical areas with high rates of violence where certain education has been censored by opening the door to dialogue and reconciliation. UNOY Peacebuilders believes that exposing young people to plural narratives in understanding diversity among people is the most impactful aspect of informal education on preventing violent extremism. This effort has been reflected by the work of our member organisations, such as The Coalition on Rights and Responsibilities on Youth (CRY). CRY creates safe spaces for youth to engage in an intensive, one-on-one dialogue with their peers across communities and religious groups in Pakistan. This effort has proven to transform the prejudice and misunderstandings among youths about people outside their ‘bubble.’ Such community work fosters trust, mutual understanding, builds social cohesion, and decreases marginalization and injustice. In addition, it’s important to focus on the principles of nonviolence, coexistence, and the curiosity to understand others’ perspectives as means to build an inclusive mindset for acting responsible and peaceful in an interdependent, diverse, participatory society.